Descenders, the extreme downhill mountain biking game that launched last month to rave reviews from players, has received its first major update today, with the inclusion of a brand new mode, new kits, and plenty of extra additions. 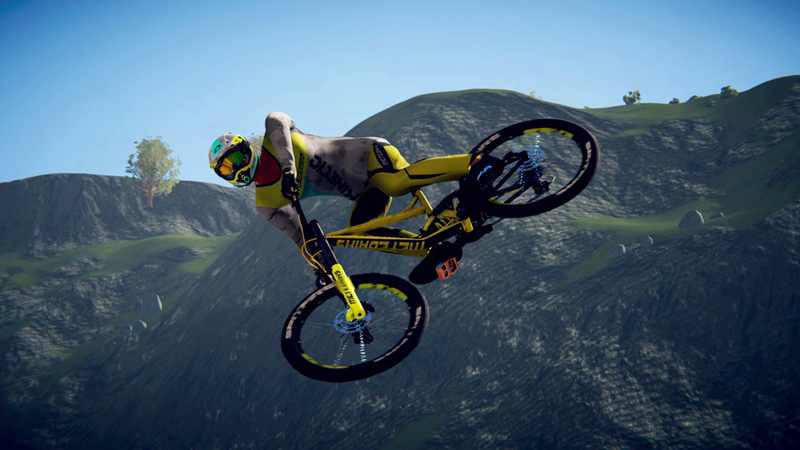 Descenders launched on February 9, and is already the most highly-rated MTB game to date, with an average rating of 90 percent from players. The game is due to launch on Xbox Game Preview very soon. As part of a free update today, Descenders players can now access the all-new, and highly requested, Freeride Mode. Freeride allows players to generate exactly the sort of tracks and runs they want, whether that's a leisurely ride through the Highlands, or gunning it down steep slopes in the Peaks. And if a player finds a world that they particularly enjoy and want to share, they can now copy the "seed" for that world and share it with other players, allowing them to battle it out for glory on any particular courses of their choosing. Alongside this massive mode, Descenders has also been updated with new kits to unlock, new languages (including Portuguese and Estonian), and tons of tweaks and fixes to make the overall experience even greater. Descenders is available to purchase now on Steam for $24.99 / £19.49, and is coming to Xbox Game Preview very soon. PlayStation 4 and Nintendo Switch versions will follow later in the year. Descenders is developed by Dutch studio RageSquid, and published by No More Robots, the British publishing label from Mike Rose. Sound design is from Power Up Audio, best known for their work on titles like Crypt of the Necrodancer and Towerfall Ascension, while the fully licensed soundtrack is from drum & bass label Liquicity.